President Obama is on his way to Israel for a state visit. His limo, the Beast, made the trip with him. Apparently it just broke down because it was filled with gas instead of diesel. Whoops. 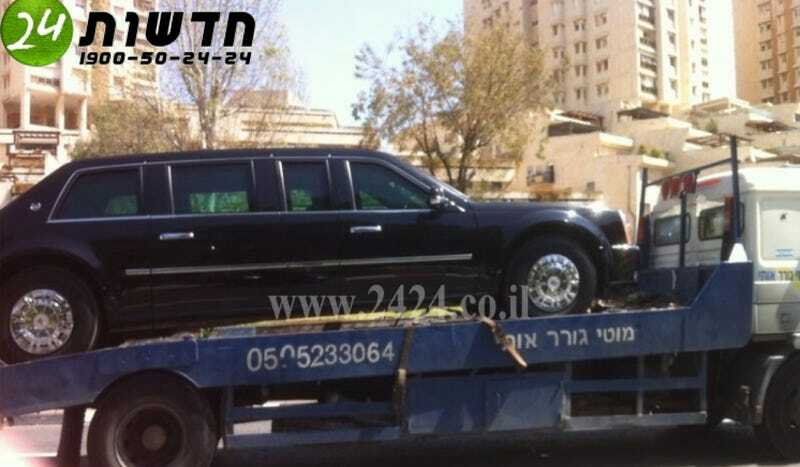 The President was not in the limo when it broke down and a new one is now being brought in from Jordan. “The Americans filled it up with diesel, rather than petrol,” reports Channel 2 — stressing that it was the Americans, not the Israelis. Unsurprisingly, the car wouldn’t start. Still, kinda funny to see the Beast broken down on a flatbed. Update: Initial reports had it backwards. The Beast is Diesel powered, so the problem is that it was filled with gasoline, not vice versa.